Those that specialize in Denver real estate management and sales are now flocking to Zavvie, a new social media system created by Lane Hornung – founder of the highly-esteemed 8z Real Estate in Boulder – which has been designed to assist those in residential real estate in engaging in a digital-based version of an old – yet, common – practice known as “farming”. This social media platform now allows Denver real estate management and sales professionals to engage in the process of marketing themselves as experts in various neighborhoods/markets. If you want to experience success in the Denver real estate sector, Zavvie is for you! The traditional farming strategies utilized by those in the Denver real estate management and sales market are still considered to be highly effective; however, they are exceptionally time-consuming. The traditional methods include the creation and distribution of flyers, utilizing direct mail practices, canvasing neighborhoods, and the circulation of business cards. In a world where instant gratification is now considered the “norm”, digital-based farming is considered to be absolutely essential. This is where Zavvie comes into play. Zavvie is considered to be a digital power source for Denver real estate management and sales professionals. Now, professionals may create a name for themselves in minutes. Real estate professionals may simply choose a submarket in which to specialize, share information about that submarket, provide relevant data, and analyze figures associated with their market. Best of all, Zavvie allows real estate management and sales professionals to directly connect to individuals that live in the areas, or, have a desire to take up residence in those areas. The digital power of this social media service now permits real estate professionals to gain full access to THEIR exclusive real-world territories. Zavvie is a subscription-based service. Those that specialize in Denver real estate management and sales must sign up and opt for a subscription to the social media platform. During the sign-up process, the professional may then choose the neighborhood in which they work and possess expertise. If available, the process is completed by providing the professional with the unique ability to communicate with residents and interested buyers of the area in which they have selected. The areas are provided to experts on a first-come basis. The only stipulation for acquiring a designated territory is the ability to prove a connection and expertise with that area. 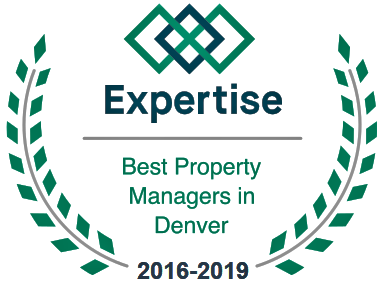 Once a Denver real estate management and sales professional connects to a specific area on Zavvie, they will reap numerous rewards. First, they will be provided with a local website that features them as a professional and be given a customized page on Facebook to advertise their expertise. This page will directly link to those in the area. The social presence will result in a huge market advantage. Credibility will be built and reach will be extensive. Now, Denver real estate management and sales professionals will be able to corner their market and obtain all of the leads.